Toronto Insurance | Taxes Done? Next Step! Last year my 57-year-old neighbor died after a long battle with cancer. He left his wife, 5 kids, and 2 grandchildren. The last year of his life was spent visiting doctors and undergoing experimental treatments. Though this was a difficult time for all, it gave him some time to put his finances in order. One action my neighbour took was to make sure his family knew exactly what his wishes were and where all of his important financial documents were located. He did this so that his family wouldn’t have to deal with a financial mess when he was gone. His family was devastated emotionally when he died, but financially, they were fine, because he took the time to make sure they would be. Our lives today are busy and complicated, from paperwork to passwords. When someone gets sick or dies – especially when it is unexpected, not only do we have to deal with the emotional impact, we also have to worry about the practical – accessing financial and medical information, tax filings, as well as changing or closing accounts. 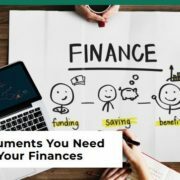 Now that you have just gathered all your tax statements, income and assets for your accountant, it’s the best time to take it one step further: make a special file with 10 Key Documents – paper or digital- and keep a copy with two people you trust. If you love your family and friends, take the time to organize your affairs! You can download the list of 10 Key Documents here. Do you have questions about life and health insurance? Need a review of your existing insurance coverage? Contact me for a complimentary 30-minute consultation. Are Your Workplace Benefits Taxable? Planning Your Summer Vacation Without Travel Insurance?